“And of course, I had my problems because so many people weren’t ready to accept it”. My hero! June 9 would have been his 100th birthday. What a remarkable coincidence that it was also the birthday of our XR pickups! Of course we all know the Gibson Les Paul, but while everyone else uses the guitar he designed in the 50s, he went on and continued innovating. What you see in this video is not the same 50s mojo we see everywhere. This is Les Paul’s favorite guitar and the one he used since the early 1970s: the Les Paul Recording Model. 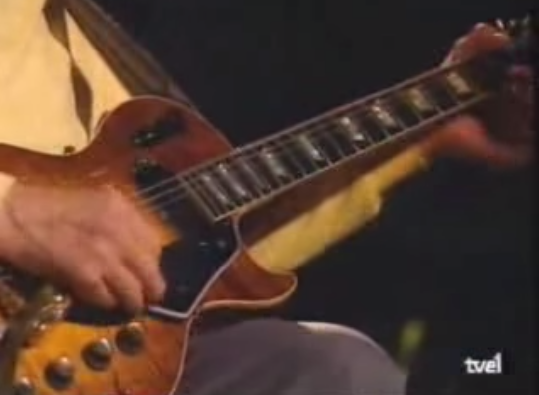 For Les Paul, it’s the the ultimate recording guitar. It was designed to be plugged directly into a mixing console! Those are Low Impedance pickups! This guitar, or more specifically the pickups he used here, is the reason why I am going Lo-Z.